BGL is a topical rub for use on soft tissue injury and painful or stiff joints. Will help to increase circulation to the area, which in turn removes waste and brings healing oxygen to injured tissue. This herbal rub has Capsaicin as its main ingredient. Capsaicin blocks the sensation of pain to the affected area. 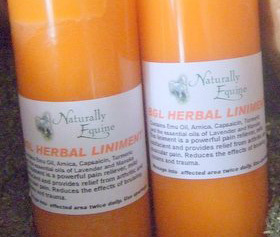 Emu Oil is a complex blend of fatty acids, vitamins and other emollients which are beneficial for the relief of stiffness and pain. This pain-relieving effect loosens stiff muscles and gives relief after a hard workout. Prepares muscles for strenuous exercise. 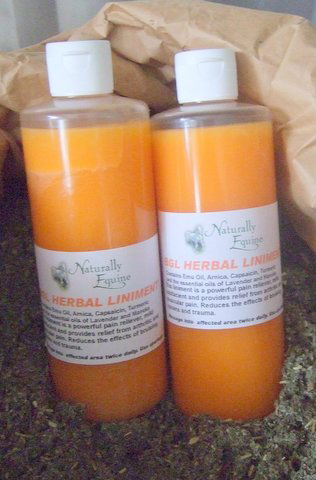 Other ingredients: Emu Oil, Arnica and the essential oils of Manuka and Lavender. Highly regarded by humans too! Do not use on broken skin or under leg wraps, as it may cause irritation and lead to blistering.